I am a photographer Elena Fedorova. Constantly living and working as a family and wedding photographer in Cancun, Playa del Carmen and Riviera Maya. Photography for me is the art that helps to create connections between the present and the future. The most precious moments of your life will stay with you forever once they are captured on photographs. Every person is unique, every couple has their own love story, every wedding day is remarkable and I love to show this in photos. 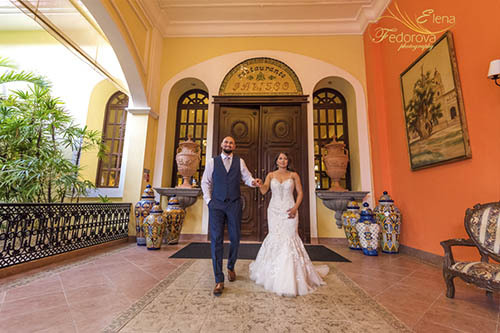 In order to find out more about my photography style I invite you to take a look at my Cancun wedding photographer portfolio. Cancun is one of the top travel destinations in the world. The gorgeous Caribbean Sea that surrounds one part of the town and the white sand beaches together create a paradise like a symphony that fills in the lifestyle of everyone visiting Cancun with positive, sunny vibes. 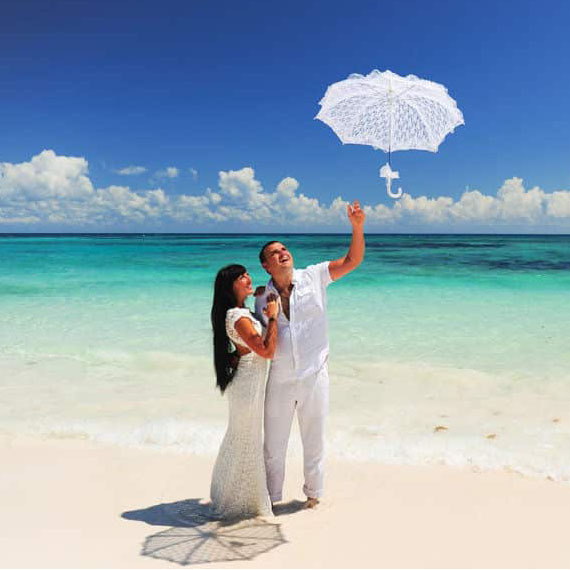 Beach photo shoots and destination weddings are part of the unforgettable entertainment for many couples. 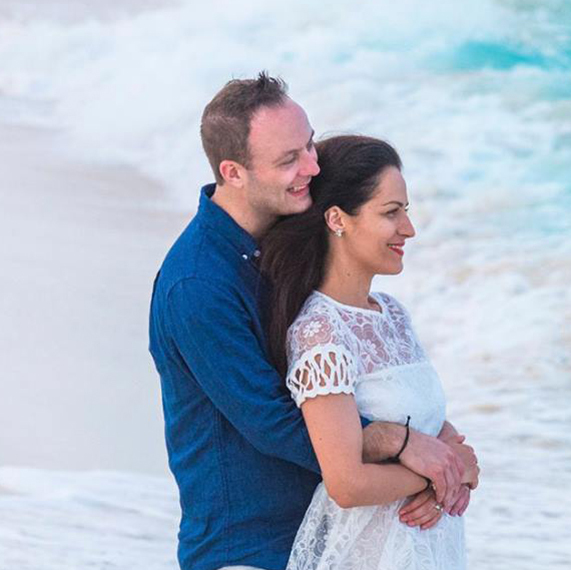 Either you are planning a honeymoon, proposal or wedding photo session in Cancun one of the first things you will be looking for is the right location to do it. I have been living here and working as a Cancun wedding photographer for more than four years and have visited many beautiful places. 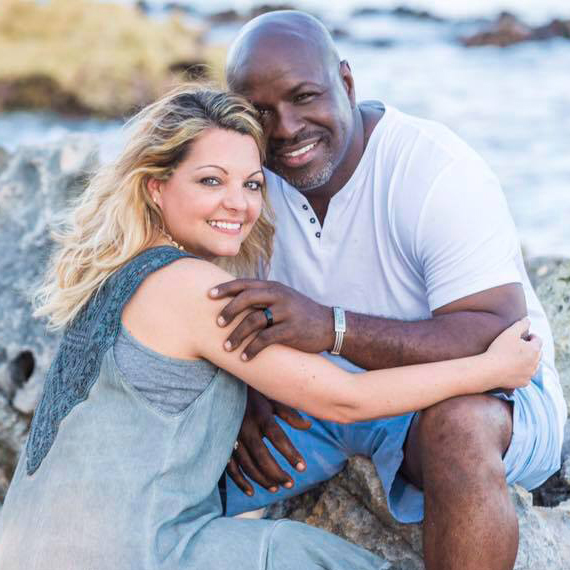 I truly believe that it is part of a memorable photo session experience to help you choose the right location as well as a perfect time for a photo shoot. Talking about weddings, I will provide you with the information regarding the right time for your ceremony, also group and couple photos. And don’t worry about posing, I will guide you at the moment when we will be doing staged photos. All the other time I will be following each of your steps, carefully capturing every important moment. My photo style, as a Cancun wedding photographer, can be described as a mixture of photojournalistic and fine art photography. With the partial influence from both of these styles I am able to create highly artistic and at the same time genuine, candid photographs, like memorable butterflies from the past after the wedding, the photographs will fill in your heart and mind with glorious excitement moments that dominated your wedding day. 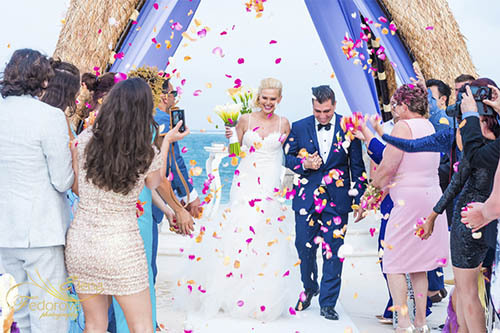 From my experience, as a Cancun wedding photographer I would like to introduce you to one of my articles that might help you in planning your wedding. 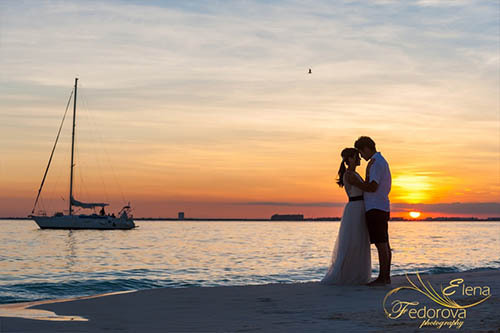 Read more: Cancun wedding photographer. Playa del Carmen is a little town but nonetheless very beautiful, famous for its beaches and calm, cozy tropical ambiance. Vivid colors that surrounds you, at the moment you take your first steps in Playa del Carmen the rhythm of your life slows down giving you the possibility to enjoy its beauty to the fullest. 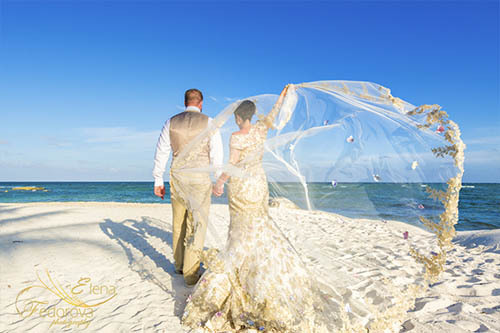 Its location on the coast of the Caribbean gives the city all the opportunities to grow and shine as a one of the most popular resorts in Mexico and as a Playa del Carmen wedding photographer I can reassure you that your romantic getaway or honeymoon vacation spent in this place will stay in your memories forever. And photographs will help you to make these memories more lively and brighter. Find out more about places to visit in Playa del Carmen here Playa del Carmen – the heart of the Riviera Maya‘. 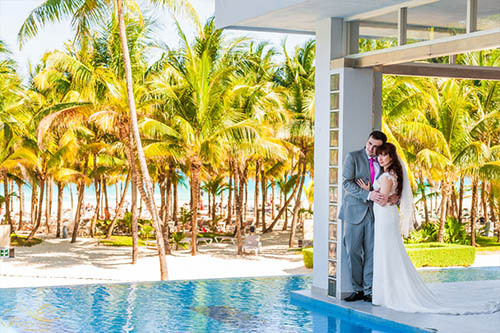 Read more: Playa del Carmen wedding photographer. Riviera Maya, a coastline naturally decorated with palm trees, white sand, turquoise colored sea waters, preserved by generations, monuments left from the Mayan civilization, with all this diversity concentrated on one spot in Mexico this place will keep forever its popularity. For me a Riviera Maya wedding photographer this coastline represents a beloved place full of wonders, countless unexplored natural treasures and opportunities to photograph love stories for couples from all over the world. 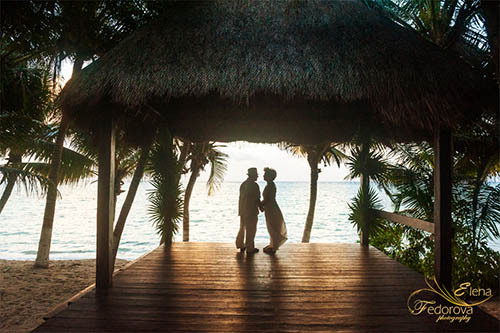 You can find the most attractive locations for wedding photography in Riviera Maya in my blog article The 3 best locations for photosession in the Riviera Maya and Cancun. 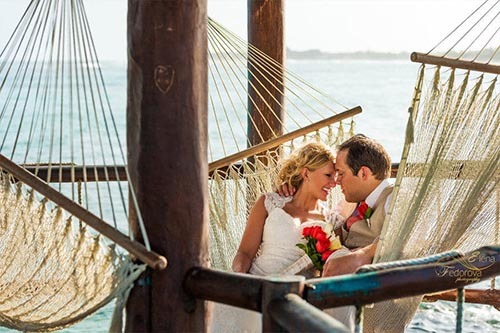 Read more: Riviera Maya wedding photographer. Tulum a town known for its wide beaches and eco style hotels. The place created by mother nature who once again proved that she is extremely creative and generous. And it is difficult not to fall in love with Tulum. It feels sometimes that time doesn’t exist there or better to say, time slows down, allowing you to enjoy all the pleasures given by nature and polished by the owners of the hotels. After your first family or honeymoon vacation there you will want to come back again and again. The fantastic Tulum beaches are the main attraction for those couples who are planning to have a wedding. I was honored to be invited as a Tulum wedding photographer to a celebration of love of one sweet couple and you can take a look at the results following the next link Destination wedding in Grand Oasis Tulum. Modern life can be characterized by the rapid rhythm of life and in the big cities it is called “rush hour”. Maybe that is one of the reasons why the time we spend with the family, that short relaxing minutes are so important and moreover valuable. So it is important to memories time with your family. 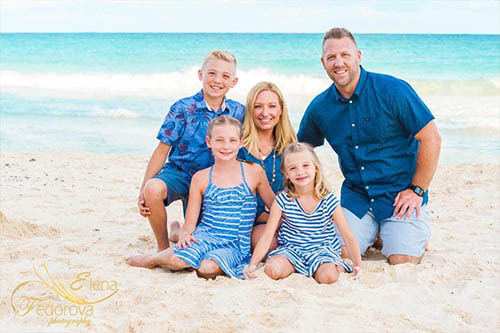 I will be happy to be your Cancun family photographer so feel free to contact me anytime. Are you married or single? No matter your marital status boudoir photo shoot is something that will cover with sparkles of appreciation and admiration your life path. You may call this photo session style unusual, as well as provocative and sensual, and you will be right! After all, a professional photo session is not something that happens every day, so it’s truly special – Cancun boudoir photography. As a boudoir photographer I believe that black and white photos add more meaning and help to reveal more of your sensuality. You are welcomed to learn more about boudoir art here Discover the world of Tropical boudoir photography. I wanted to let you know once again we love the pictures, we really enjoyed the first two days as we been just looking over and over again. They are beautiful and we can not ﬂunk you enough for capturing our special day. You are amazing and extremely talented, everyone enjoyed your company and we are looking forward our anniversary as we would like to do a small photo session at the beach if everything works out for us, as we would like return next year. We will contact you prior though as right now we just planning but lets see how things will work out. Hope all is well. Lets stay in touch. Wishing you all ﬁle best. Thank you once again for being such an amazing photographer and kindhearted person.We really loved your work. Thank you very muсh for the photosession! From the ﬁrst day we met we didn‘t have a slightest doubt that your work will be superb!!! And so it happened, we are very grateful to you and pleased with all the photos. We couldn’t imagine better pictures! Thank you! You conveyed the mood that was in our hearts at that exam moment so easily and accurately. Your photos are so bright, vivid and natural. which signifies that they were made by a real professional! It was very pleasant to work with you and all our friends were amazed after watching our photos. Every time we look at our pictures we feel like we are there again. in this beautiful and sunny country, I want to express you my admiration and immense gratitude for these wonderful pictures! We are very happy that we found you! It would be impossible for me to put into words how much I LOVED our experience and pictures with Elena. 🙂 So fun, so comfortable, so glad we booked with her! 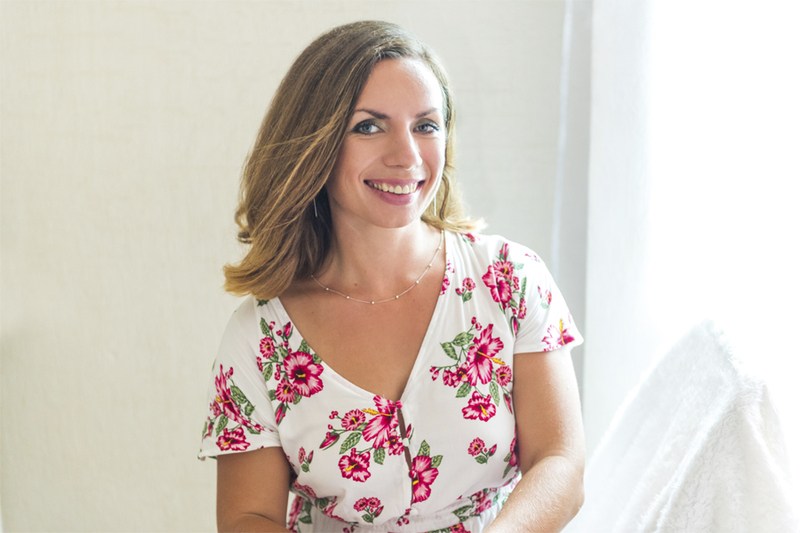 Elena is an amazing photographer and she has a great personality! Despite the wind and us being extremely nervous, the photos turned out absolutely beautiful. She knows all those little tricks that transform your photos in a fairytale!